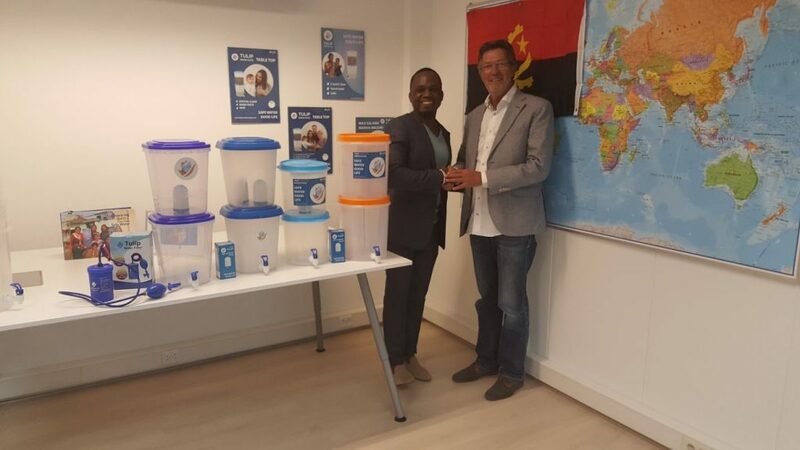 We are happy to announce that our Tulip water filters are now available in Angola! Jobac Lda, represented by Mr. Claudio Batista, is the official distributor of Tulip products in Angola. Not only will the Tulip filters become available in local shops, there will also be a local stock for emergency situations. Having local stock available will substantially reduce delivery time and costs. Being able to deliver safe drinking water products quickly and safely can save lives.